SIMCO Technologies is proud to be one of the laureates of the Quebec region who will represent the region at the first edition of the MercadOr Quebec Gala. This event is organized by Commerce International Québec (CIQ) and the réseau des organismes régionaux de promotion des exportations (ORPEX), to recognize Quebec companies that export internationally. 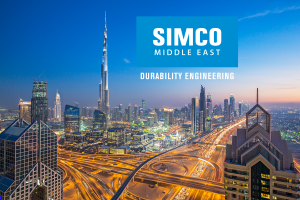 SIMCO is a laureate in the category “Implementation Abroad”, for the opening of its new branch in Dubai, United Arab Emirates. The opening of our new branch in Dubai could not have been possible without the commitment of the company’s executives and the important contribution of our team in Dubai for the realization of local projects and business development in the Middle East. In addition, we must also recognize the dedication of our Quebec team of engineers, who were always ready to mobilize themselves to ensure a high level of expertise was provided and that trade knowledge was transferred to our local team. 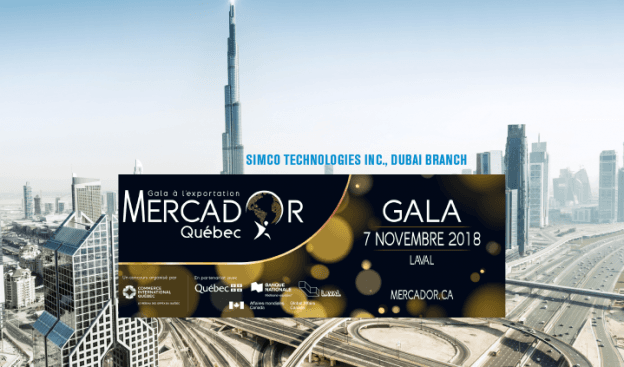 On November 7, entrepreneurs from across the province will be recognized at the first edition of the MercadOr Quebec Gala, the only gala highlighting the international success of local businesses. The MercadOr Gala will give Recognition Awards in the following eight categories: New Exporter, Export Leader, Market Diversification, Implementation Abroad, Digital Agenda, Innovative Exporter, Jury’s Favorite Exporter, and Exporter of the Year. SIMCO is proud to be associated to the MercadOr Gala and wishes good luck to all candidates!